The annual San Diego Comic-Con kicks off in a few days, and as always, film studios are eager to tease the surprises to come. Many know that Comic-Con is home to many exclusive collectables from every artist and franchise imaginable. Today, this was proven true for yet another famous film series. That’s right, after over a decade of no releases, Universal is beginning to open the advertising floodgates for the fourth installment in the Jurassic Park franchise, Jurassic World. Perhaps most interesting for the more eagle-eyed fans is the number on the car…and the lack of a tire. Indeed, that car, Number 04, is the very one that Tim, Lex, and the ill-fated lawyer rode in during the first attempt at fun. 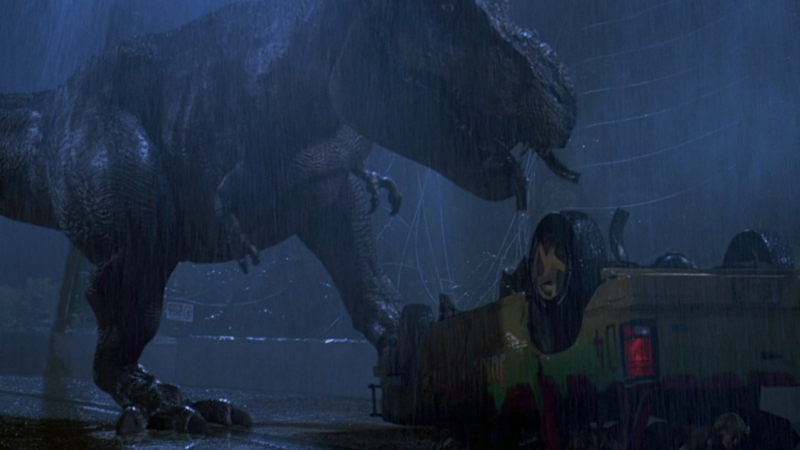 During the T-Rex’s attack, she stood on the car and chewed the tire off. Later, after Dr. Grant, Lex, and Tim escape down the “plot-hole” wall, the car tumbled down a tree, nearly crushing them. Thankfully, they were able to walk away, leaving the car free to adorn future posters. Number 04 had a tragically short life. 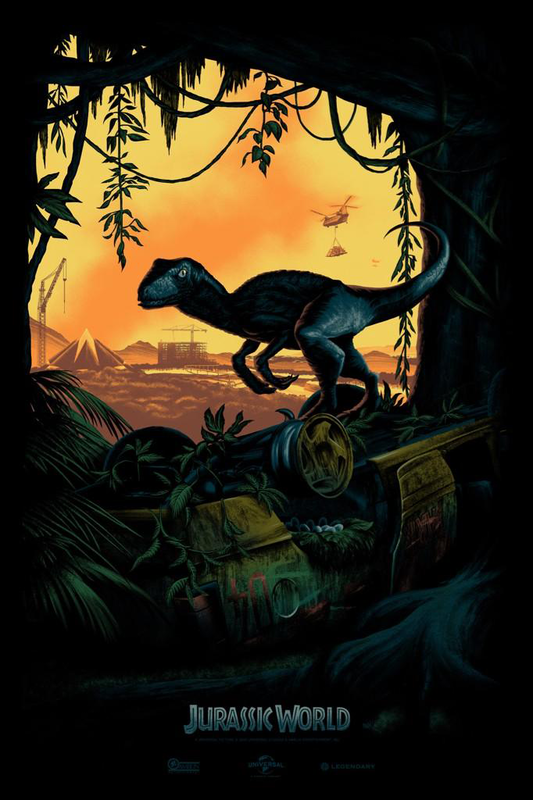 Since director Colin Trevorrow revealed the poster in a tweet, poster artist Mark Englert has told fans to text JURASSIC to 834567 and await further instructions. Hopefully, Universal will surprise us with more Jurassic World goodies later this week! To learn more about the ongoing production of the film, click here.